THANK YOU ROCHESTER!!! Wilbur is home! 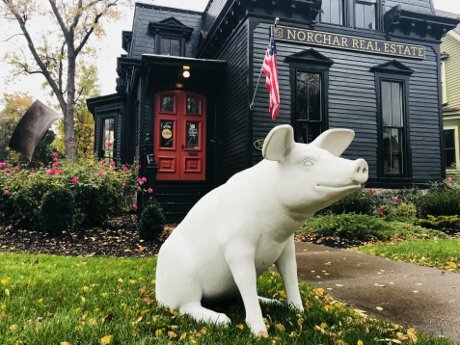 We received a call this afternoon from the Rochester Police letting us know that our pig was recovered and sitting in the Public Safety Building for pickup. Thank you so much for everyone who shared our post, commented, and called our office. The power of social media and concerned citizens are a formidable force and we are still in awe of the outpouring of support and love. 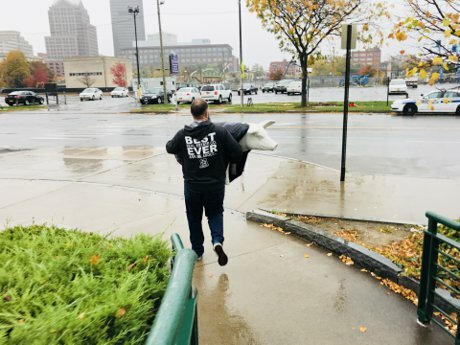 Rochester is a big city, but yesterday we felt like we had thousands of neighbors looking out for us! We really appreciate the news teams of 13 WHAM, WHEC 10, WROC 8, WXXI, Democrat and Chronicle, ROC60, and Kimberly and Beck - Radio 95.1 for your news coverage and support. Thank you Ashley Edlund, Tanner Jubenville, and Victoria Freile for contacting us and taking the time to report our story. Thank you Park Ave Merchants and the Springut Group for working so quickly to spread the news and reinforcing why Park Ave is the best place for a local business. Also a huge thank you and appreciation for the 311 operators and the Rochester Police Dept. for their quick response, communication, and friendly service! Where was Wilbur? We will never know for sure, but he did spend some time in a dumpster at the Mt. Hope Distillery. Details are scarce, but we are pretty sure Wilbur was found last night in a trash bag in a bush on Park Avenue. The wonderful person who found him called the police and Wilbur was picked up. 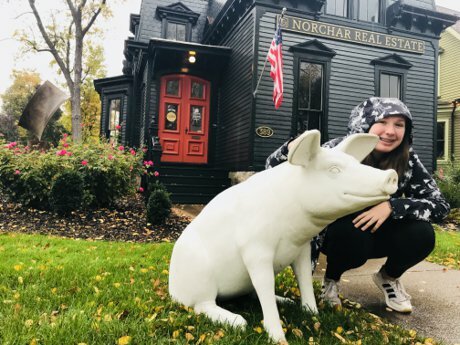 What became of the pig trio who stole him and ripped up our porch at 389 Park Ave? We may never know, but when we unwrapped Wilbur this note fell out. 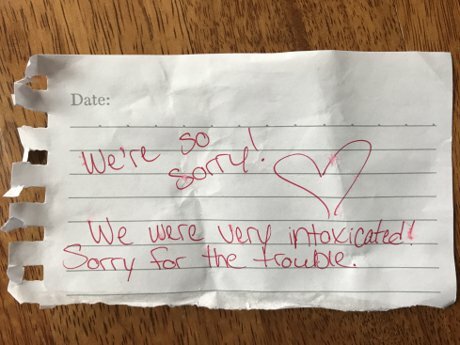 "We're so sorry! We were very intoxicated! Sorry for the trouble." Well, we may never meet these three individuals, but we know one or more of them felt remorse for their actions. 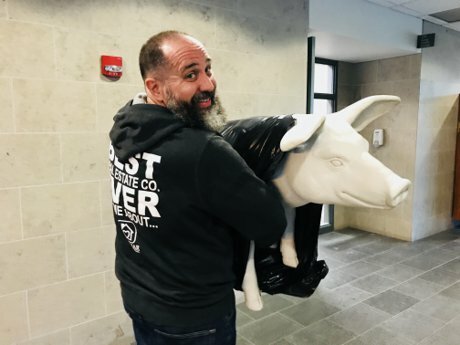 The most important part is that Wilbur is back on Park Ave where he belongs. So please feel free to stop by and see him in his rightful home!